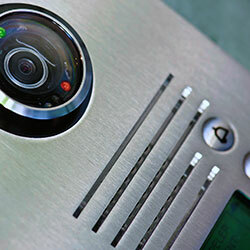 Enhance the beauty and functionality of your home with custom low voltage home services from Brinton Security. Call Now For A Free Home Services Quote! 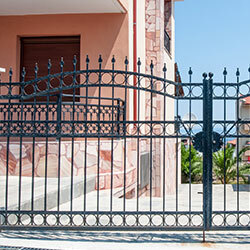 Security systems are our primary source for a security solution, however, we offer additional security options along with other solutions for your home. If it requires low-voltage work, we can probably do it! Please give us a call today for a free quote on the project you have in mind. If we cannot help you, we will gladly refer you to one of our partners for more assistance. Whether it’s a home theater system or a dedicated, high-end media room, we have the solution. 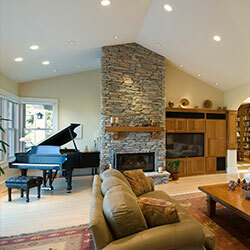 We’ll create the “total immersion” experience of a custom home theater. From pre-wiring to theater seating, projection screens, and full surround sound, we have many options for a design that meets all your home theater needs. Brinton Security brings together the finest, most technologically advanced systems by the best brands in the home services industry. Whatever your preferences are, our professional design and installation team will deliver a big, bold and better home experience.